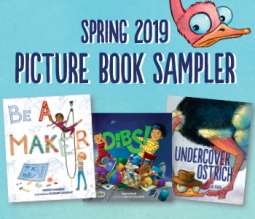 Some fun titles to look forward to-Spring 2019 Picture Book Sampler – Joyce's mystery and fiction book reviews with some non-fiction too! This sampler shows that there will some fun books coming our way this spring. Undercover Ostrich appears to be a very silly story that is told just for fun. Dibs shows that one cannot really shout “dibs” every time one wants something. For example, what if a toddler wants to be a pilot? The point is made in a humorous way. Be A Maker encourages doing things. All three of these picture books look promising. I look forward to their publication.